The interactive tools available on the web are becoming just as popular as many of the computer software applications installed on our computers. 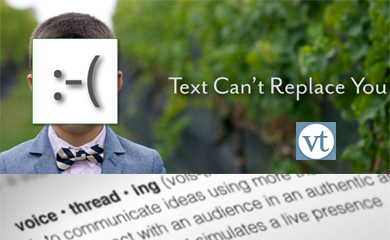 This workshop will look at and demonstrate some web tools that can help you deliver your content more effectively. 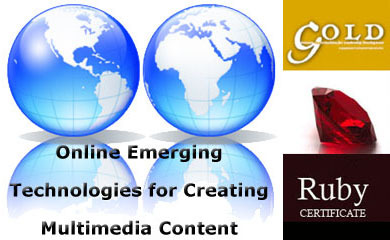 Examples include: Prezi, Animoto, bubbl.us, Wordle, Poll Everywhere and more. Participating in GREAT Day is a significant honor, but it can also be an intimidating experience. A lot of work goes into papers, posters, and presentations, and students want their work to stand out in a good way. But what is one supposed to do if he or she doesn’t know how to design a good poster or write a proper abstract? The Center for Academic Excellence (CAE) has the answer! For the second time, the CAE is working with staff and faculty across campus to bring you a series of workshops designed for first-timers and GREAT Day veterans alike. We already have five workshops scheduled and ready to go. So if you really want your GREAT Day project to stand out for all the right reasons, take a look at what we’re offering! Unsure of how to write a proper abstract for your GREAT Day project? This 60 minute workshop will help you through the process. After some brief instruction, you will have the opportunity to write your GREAT Day abstract with guided help from some of SUNY Geneseo’s best writing tutors. Taught by Gillian Paku and Writing Learning Center tutors. Graphic design is hard. This workshop keys in on three fundamental elements of design (spacing, color, and text) to help you draft a memorable and effective GREAT Day poster. Taught by Kristen Fuest. InDesign is a versatile design program you can find on pretty much every public computer on campus. However, many SUNY Geneseo students are unfamiliar with it. Come learn the ropes in this one-hour workshop and turn that amazing GREAT Day poster idea into a reality. Taught by Steve Dresbach. It’s not just for presentations! 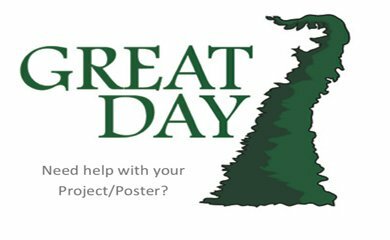 When it comes to creating GREAT Day posters, PowerPoint is a friendly and familiar alternative for students who don’t necessarily want to learn a brand new program. Taught by Steve Dresbach. Just about all of us have used PowerPoint before, but despite your relative familiarity with the program, there’s probably a lot of really neat features you never knew about. Learn how to make your GREAT Day presentation stand out with this sixty minute workshop. Taught by Steve Dresbach. 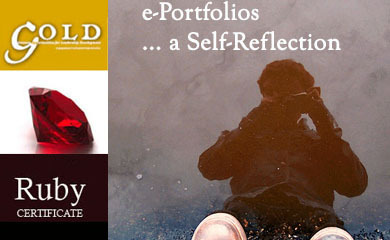 An e-portfolio is a means of showcasing your accomplishments in digital format. It demonstrates your skills and competencies and is a reflection of who you are. Come and learn how to create your own free e-portfolio and add various forms of digital content, such as documents, videos, presentations and photos. 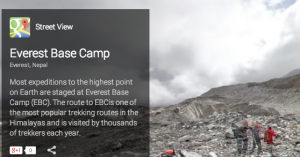 Introduced in 2005, Google Earth is a three-dimensional virtual globe overlaid with dynamic data layers that let you explore land, oceans, moon and stars. There’s even a tour guide option that will give you historical information about significant places and events. Governments and businesses are using it to make decision for location based projects by analyzing geospatial information layered by topographic, demographic, traffic data, and the like. 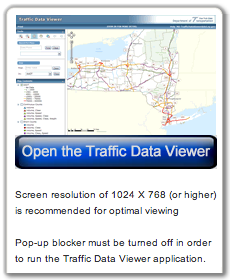 For example, the New York State Department of Transportation has developed a Traffic Data Viewer that uses data from the National Geodetic Survey (NGS) Database (a google earth application) to display published traffic data graphically. County administrators can use this resource to plan repaving efforts or an entrepreneur could use local traffic patterns to determine the best location to open up their new start-up. Educators are using it extensively in many different disciplines and ways, such as understanding global development, selecting and visualizing field study sites, studying land-use law and to depict the locations of many of the disputes, visualizing historical events and issues like the Trans-Atlantic slave trade routes, the underground railroad, the abolishment of slavery in Great Britain, mapping field trip routes, analyzing communication systems and so much more. Plus, the Google Earth community is a great place to find data and can be used to explore historic grave sites, find overlays and place-marks related to Hurricane Katrina and the subsequent flooding in New Orleans, study locations of large airliner accidents, shipwrecks, World War I & II, and more. 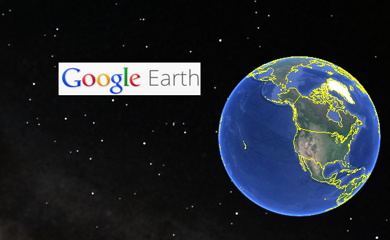 Feel free to leave us a comment because we want to know… How have you been using Google Earth? 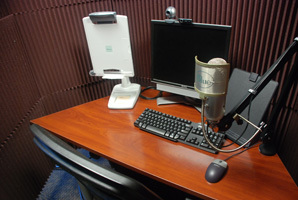 The Digital Media Lab Recording Studio in Milne Library was created to give the college community a location to record live audio & video and for making screen recordings. Over this past summer the studio was renovated and relocated to Room 210. It is right next to the Digital Media Lab (DML) in Milne and is accessible from the DML. 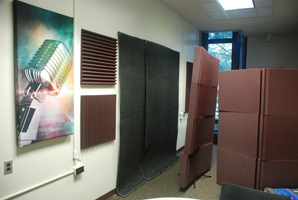 The new recording room has three unique areas to support a variety of live recording needs. There is a semi-enclosed single seat sound absorption area for making live screen recordings, with or without a webcam, using Camtasia for Windows or Mac and for making audio recordings or podcasts using GarageBand or Audacity. There is group area for those needing to record group audio such as group discussions or interviews and an area to setup a tripod and video camera to make on camera video recordings. The studio is equipped with a dual boot Mac Pro with a Blue Yeti Microphone and is lined with sound absorption material. There are sound absorbing blankets that can be hung over the doors to reduce outside noise. The room is restricted to those who need to make live recordings. Reservations are required. Select room 210 as your room preference when making the reservation. Please allow 2 business days to confirm your room reservation. An email will be sent to you once your reservation has been made. Just stop at the service desk in Milne and tell them you have a reservation and need the door opened. For more information or assistance, please visit www.geneseo.edu/dml. THATCamp Western New York 2013 will take place February 18-19, 2013 on the campus of the State University of New York at Geneseo. Join us for a two-day unconference of workshops and discussions on all forms of social reading, from open annotation (e.g., Candide 2.0, The Open Utopia) to peer-to-peer review (e.g., Planned Obsolescence, Complex TV). Registration is $20, and includes breakfast and lunch both days, a Monday (2/18) evening reception, and a t-shirt. 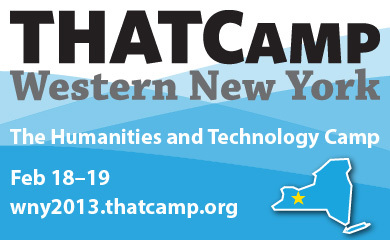 Who should come to THATCamp Western New York? THATCamp Western New York is for people interested in social reading as a tool for scholarship, pedagogy, or public engagement. Anyone is welcome to attend and propose a session. THATCamp is an unconference — an inexpensive, collaborative gathering in which participants create the agenda. It stands for “The Humanities and Technology Camp,” and explores the interactions between technology and humanities teaching and research. Learn more at thatcamp.org. THATCamp Western New York 2013 is generously funded by an Innovative Instruction Technology Grant from the State University of New York.